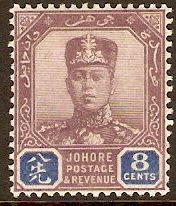 Home :: Malaysia and Malaya States :: Johore :: Johore 1910 25c Dull purple and green. SG85. 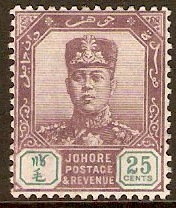 Mounted mint 1910 25c Dull purple and green. SG85.